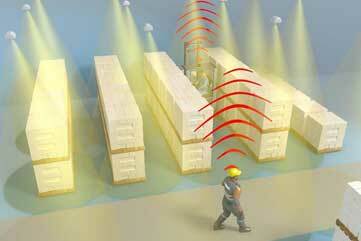 Safety at Work Reduces Operational Disruptions. With our innovative sensor technology we make your industrial trucks and forklift trucks fit for safe and effective use. The additional intelligence prevents accidents and operational disruptions and increases driving comfort and productivity. Fulfilment of the safety requirements in narrow aisles in accordance with the Machinery Directive, 2006/42/EC, DIN ISO 13849-1 and DIN 15185-2. 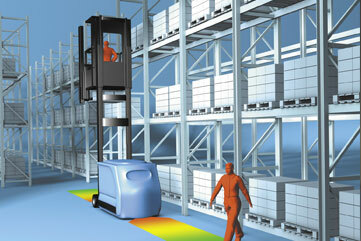 Increase in efficiency and reduction of accidents in intralogistics. 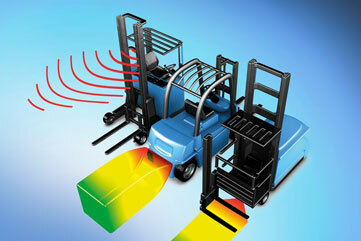 IntraSafety navigates and locates vehicles and combines safety at work with logistics management.